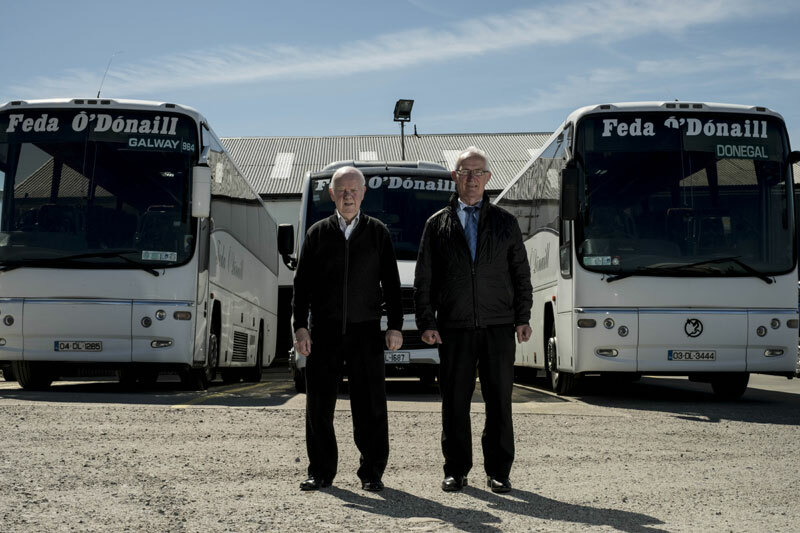 From transporting coffins to IRA hijackings, there isn’t much that the bus owners haven’t seen during their 50 years of running their coach service between Donegal and Glasgow. 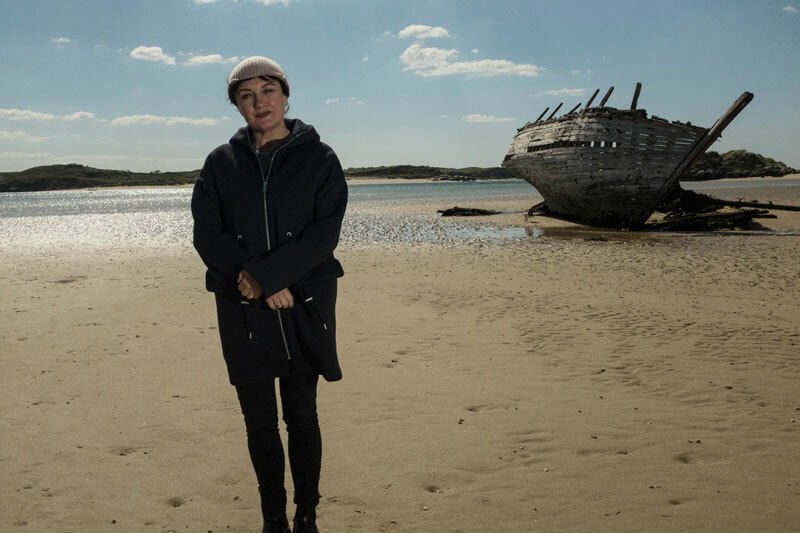 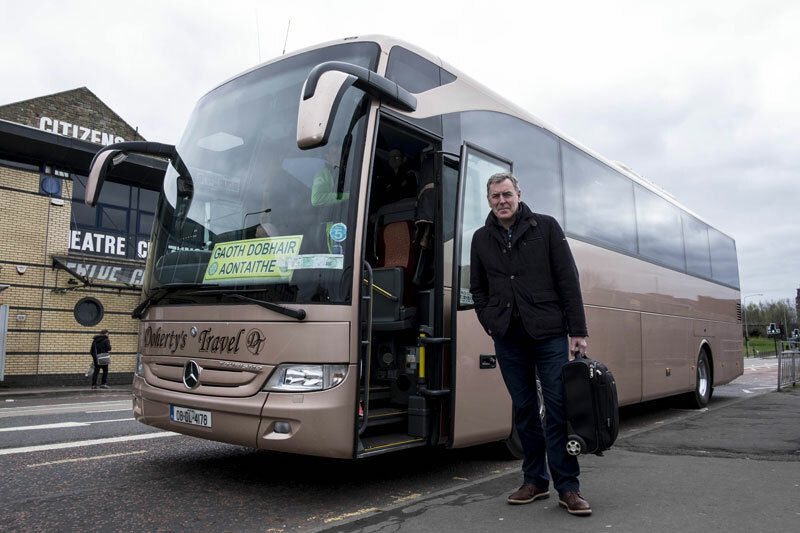 This documentary series will give viewers a unique insight into the people immigrating from Donegal to Scotland from the 60s to the present day and this infamous bus that has been the lifeblood link between these people. 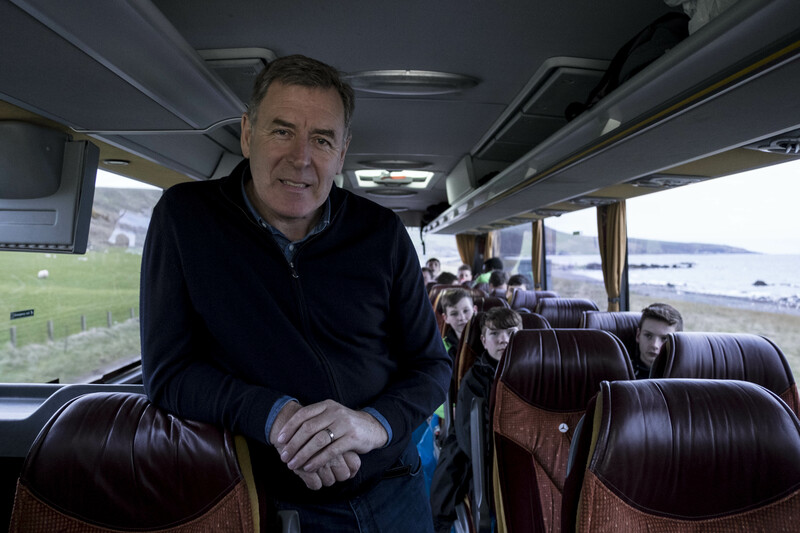 The story of Bus Glaschu will be told by the colorful characters who sat in the seats of the bus back in the day and the drivers and bus owners responsible for getting them from A to B.
Filmed in 2017, each week we will follow bus passengers, including Donegal footballer Packie Bonner and Lorraine McIntosh of Deacon Blue fame, as they make the trip between Glasgow and Donegal, sharing their stories along the way. 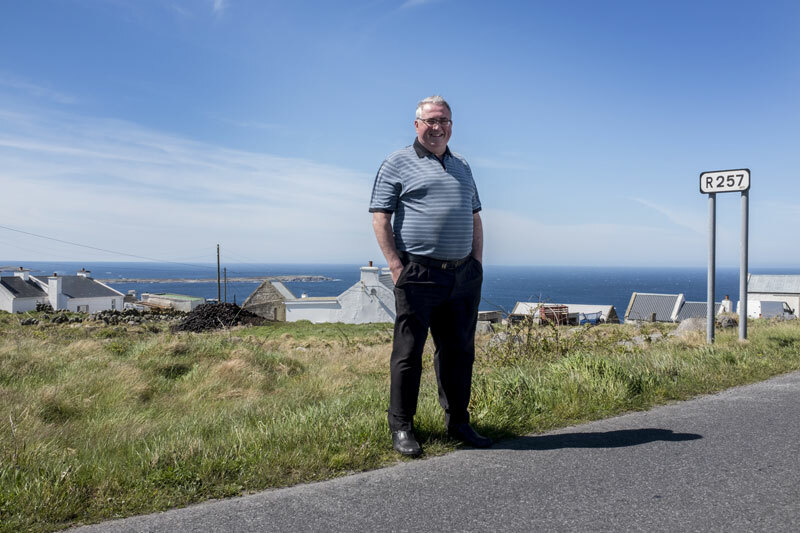 As we settle into our seats on Bus Glaschu, winding our way through the hills of Donegal and onto the often harsh streets of Glasgow, we see how the sense of Irishness has lasted through generations and is still breathing life into a vibrant Irish community in Scotland today. 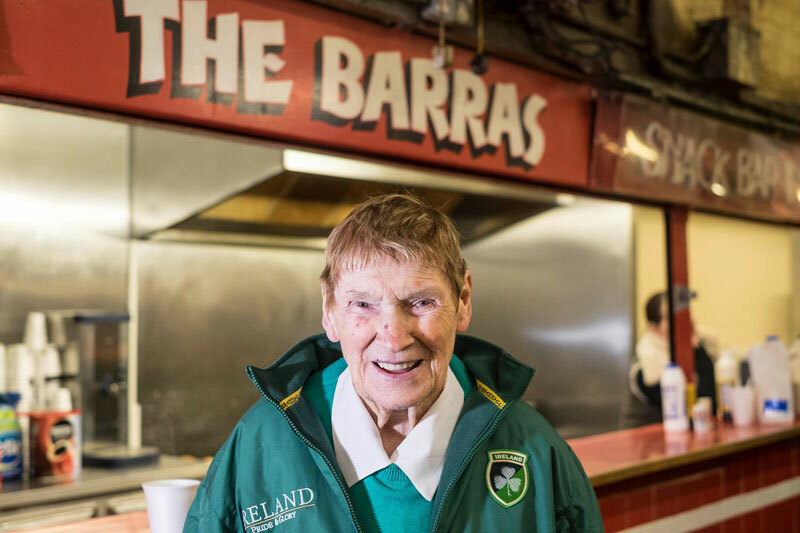 We’ll meet Irish wits both past and present as we reflect on what has changed, and what has remained the same. 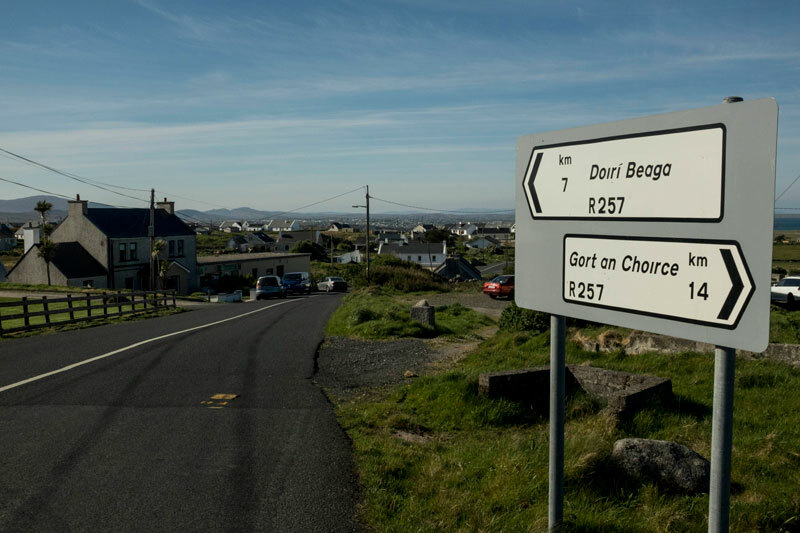 And among the constants, there’s that vital link that is Bus Ghlaschú -forever on the road.